Yesterday was so so so awkward. "Ok Annie, so the plan is that I will ask Mr. M if Cass can help me with something in the library" Mrs W said. "Yes, and then you will take her somewhere and talk" Mum replied. "Then I will one by one talk to Madison, Roxy and *Zharina" Mrs W repeated. That morning I was asked to help Mrs W in the library. We talked for a bit. Then she asked if she could take Roxy for a test, the Madz, then Zharina. At interval she made me Madz, Rox and Zharina stay in for a 'group' talk. I didn't say what I wanted to say but I did learn that Roxy had been to Mrs W for the same reason when M was ditching her to hang out with me!!!!!!! It ended with Madison suddenly being extremely nice to me. In other news next week I need to perform my 'Save the Monarch Butterflies' speech to the class, (^-^), If I get through then the team (o_o), then the school (O~O)!!! All together a sequence of ^-^ o_o O~O! I will now write my boy passage again, if your not interested just skip this. Today we had a futsal coach come in and sort us in to teams, I was in a team with Aiden, Georgia, Roxy, Leila,Me and RYAN! Aiden and Ryan are pretty much the boy version of besties. They are both cute. But Ryan is the one I like. Ryan was complimenting me the whole game/s, even when I was goalie and looked away for a sec and the ball was in the goal. Afterwards when we did longball I got 6 runs and he said "Shot Cass" and hi-fived me. Ok, Ok, I know that doesn't sound like much but at my school some saying like, "Shot Leila!" is a pretty big thing, it only really is said by boys when they think some one has done a good job. Now that I think about it that doesn't actually mean that much but oh well. I had a moment. Enough being loyal to my Boy or Girl obsessed readers!!!! If you read 'The Contest' then you will know about my contest. About: Naming my new holiday blog. What you have to do: Email me your Anon Name, The name you want for my blog and why, your address. 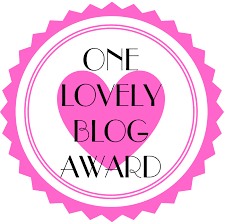 Prize: A special shoutout on my blog and a mystery prize! Can you comment below also a send off I could do? Like, That's enough capturing for today or something? *Zharina is in M and R's group, she's ok.